Each and every year I feel extremely grateful that opportunities come my way. That's not to say that I don't put in my all to attain them, but when I was offered the opportunity to tell my story in a published biography, I couldn't turn it down. So here's the next big project in my life, it's called Courage is Compulsory. 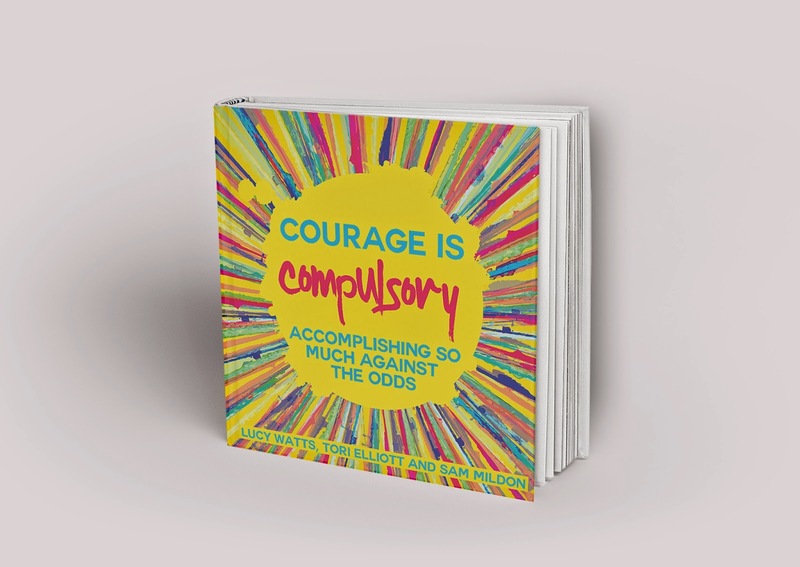 "Courage is Compulsory shares the stories of three young adults, each facing enormous challenges in their lives because of their life-shortening conditions. Lucy has Ehlers-Danlos Syndrome, with complications; Tori and Sam have Spinal Muscular Atrophy. All three are achieving remarkable things in their lives, in spite of, or because of, their conditions. This book will be an inspiration to other young people facing similar challenges. 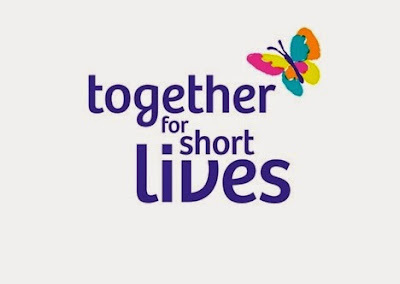 It will show families of young people diagnosed with life-limiting conditions that their lives can be fulfilled. It will show health professionals that they should never underestimate the potential of these young people. It will describe to general readers stories of immense resilience and courage. Lucy, Tori and Sam want to make a difference with their lives. We can help by getting as many people as possible to read their remarkable stories. They deserve our support, as do the charities that provide help to others living with the conditions. Courage is Compulsory is being funded through crowdfunding and the project can be viewed at www.crowdfunder.co.uk/courageiscompulsory." This book will tell our individual stories, how trials and tribulations, our hurdles and how we overcame them. It's our legacy to pass on to other disabled people, and their families, during their time of need. We all hope that our strength and guidance can assist other's to follow in our wheel tracks, to lead the life they wish to without restrictions. Our experiences and in depth knowledge is valuable to other disabled adults and children, and we want our voices to be heard. But we need your help to get there. We're 'crowd funding' to cover the publication costs of £12,000 and it all kicks off on the 29th of May 2015! If we can't collect enough sponsorship, all of the donations will be refunded and the publication will not continue. So we're desperate for you to support us, and in turn support others by reading our stories. We'll have lots of rewards for you too if you sponsor, such as t-shirts, your name in our supporters page, a copy of my very own children's books called The Phlunk, and you can even win the opportunity for me to give a personalised talk at your company! What more could you want!? We aren't taking a single penny of this for ourselves, and all of the proceeds after publishing will go to the charity Together for Short Lives to support their tremendous on going work. All other donations can be made directly to Southgate Publishers. The Square, Sanford, Crediton, Devon, EX17 4LW. I'm an extremely motivated and enthusiastic person, who just so happens to be in a wheelchair and have SMA type 2. I'm mid-twenties and living in the UK as a Freelance Illustrator, but have a passion for travel and aiding other disabled people to do the same with the help of Our SMAll Adventure. Got a question? "This sounds really silly, but..." is my favourite, so just go ahead and ask. What can we help you with? Sign up to follow each and every update, our adventure is far from over and we want you to be a part of it! All posts are copyright to Tori Elliott and David Brooker. Powered by Blogger.